As the U.S. economy worsens (Q4 2018 GDP was just revised downward from 2.6% to 2.2% and Q1 2019 GDP is currently estimated at 1.7%), we have repeatedly reported on growth warnings from well-respected institutions including the IMF, the Bank for International Settlements and leading academics. The point was to make it clear that economic weakness is not a fringe view but something the elites themselves are deeply concerned about. Now comes the most authoritative warning of all. 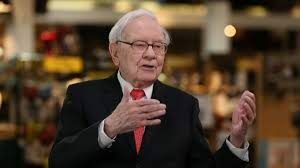 As reported in this article, world-famous investor Warren Buffett, ranked among the richest people in the world, recently told CNBC that “the pace of increase in the economy has slowed down.” He bolstered this claim by reporting that his BNSF freight railroad, which transports oil from Canada in addition to many other loads, is showing signs of slower growth. Transportation indexes typically lead broader stocks indexes when it comes to turns in the economy. The head winds to growth are coming from many directions, including trade wars, demographics and tighter monetary policy from the Fed through “quantitative tightening,” or QT. None of this anecdotal evidence points definitively to a recession, but the U.S. is unquestionably closer to a recession than at any time since the current expansion began in 2009. Buffett is ready for a recession with over $100 billion in cash. It may be time to also increase your cash allocation and reduce exposure to risky stocks.